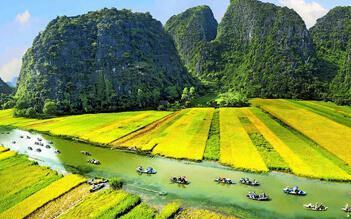 In 2 days, Le Cochinchine will bring you to visit the most typical destinations on Mekong River. Along the journey, you will participate in many exciting activities: enjoy an excursion to local Coconut Candy factory and learn more about this special traditional treat; pass by local fruit gardens and sample various kind of tropical fruits or simply join the lively colorful life in Cai Be floating market. After a long busy day, there is nothing better than relax on the cruise sundeck and enjoy the stunning view of sunset over Tien River. Let’s explore the colorful life of Mekong Delta with Le Cochinchine to truly experience one of the oldest and most unique cultures in the world. 07:30 - 08:00am: Optional pick up by shuttle bus at hotels in District 1 or District 3, HCM City. 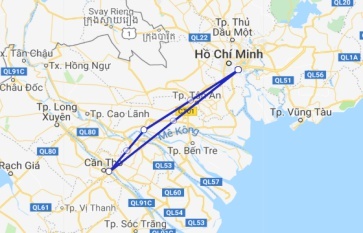 Then transfer to Can Tho. 10h30-11h00 A.M: Arrival at the pier in Can Tho, boarding a local boat to discover the floating market of Cai Rang, one of the most typical markets of the aquatic region. Le Cochinchine boat seal towards the south, welcome by a welcome cocktail. Lunch on board while our boat sails to Tra On. In the afternoon, you will leave for a pleasant walk, on foot or by bike, on the paths lined with greenery. 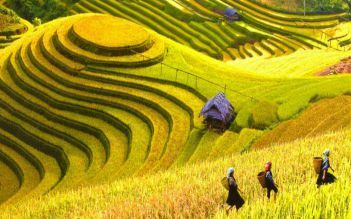 A few planned stops allow you to discover concretely the life of the local inhabitants, orchards or fields of green rice. Back to the boat for relaxation and relaxation at dusk on the Co Chien River, with a drink of aperitif and a foot massage on the upper deck. Taking part in a cooking class on the boat, you will have the chance to try to make Pumpkin flower stuffed with That Lat fish and learn how to cut vegetables for decorating dishes. Dinner and overnight on board, near Cai Be. Breakfast on board. Continue our cruise to Cai Be. On arrival, sampan ride to explore the quaint and lively floating market of Cai Be. 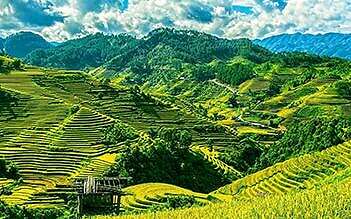 Following a stroll through the lush vegetation to visit the villages and discover the local crafts: rice alcohol factories, coconut candy, pop-corn and rice paper. Visit of a sumptuous traditional residence, former imperial residence, where you will discover the sublime interior and walk through the garden strewn with fruit trees. The tea is ready to serve you, accompanied by a tasty sample of tropical fruits. Walk through the arroyos in the vicinity of Cai Be. Disembarkation around 11h00 A.M in Cai Be. Then take the bus (only for those who booked bus service with us) to come back Ho Chi Minh city. 17:00 Drop off at your hotel in HCMC. Our travel company had rented its own boat on the Mekong River starting from Cantho. We visited local farmers and eat lunch dishes at a local restaurant. Lots of food. We also saw how the locals made several specialties.